After drinking over one hundred bloody marys in the Los Angeles area, I learned a few things: (1) the bartenders in West Hollywood are the nicest bartenders in all of LA, (2) Malibu has a distinctly non-LA feel, and (3) there’s something about Pasadena and mason jars. Seriously, chances are better than not that, if you order a bloody mary in Pasadena, it will come in a mason jar. So it’s no surprise that Gus’s BBQ serves up “Gus’s Secret Recipe” bloody mary in a Ball brand mason jar. 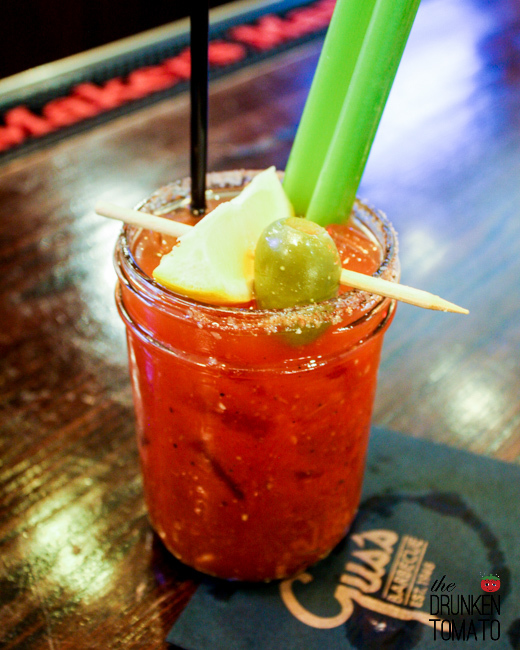 With a smoky salt rim and a long, full-bodied burn of heavy black pepper and horseradish, this Pasadena bloody mary is distinctly barbecue inspired. And only $4.95.